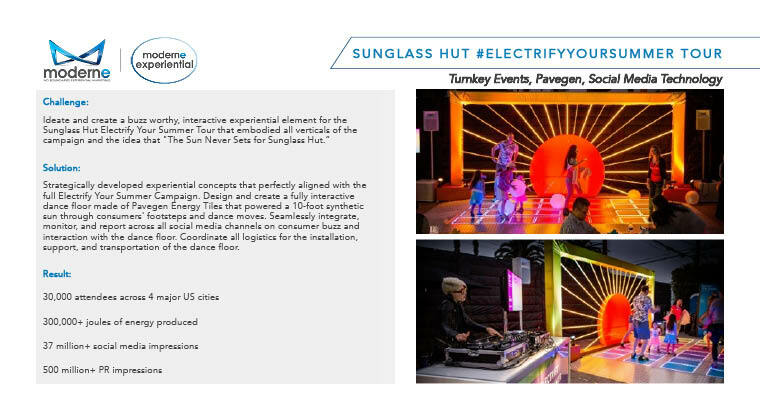 Watch how Moderne used sustainable energy technology to "energize" and engage with consumers throughout Sunglass Hut's Electrify Your Summer Tour while powering a 10 foot synthetic sun. 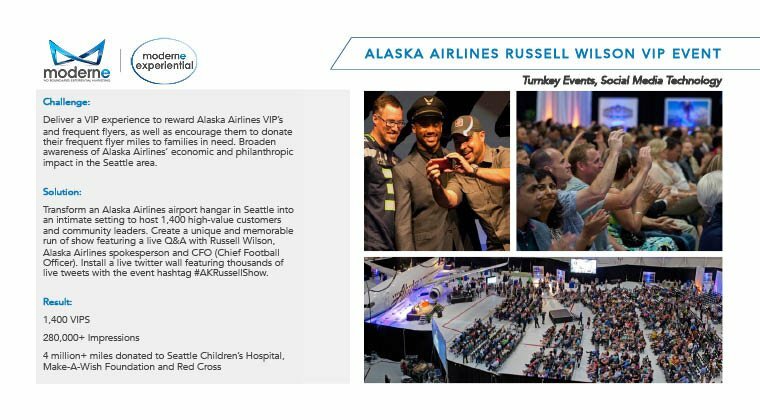 With Russell Wilson as a headliner, Moderne in partnership with NVE, transformed an airport hangar into a VIP experience for Alaska Airlines customers. For more details on this program, visit the Alaska Airlines case study. 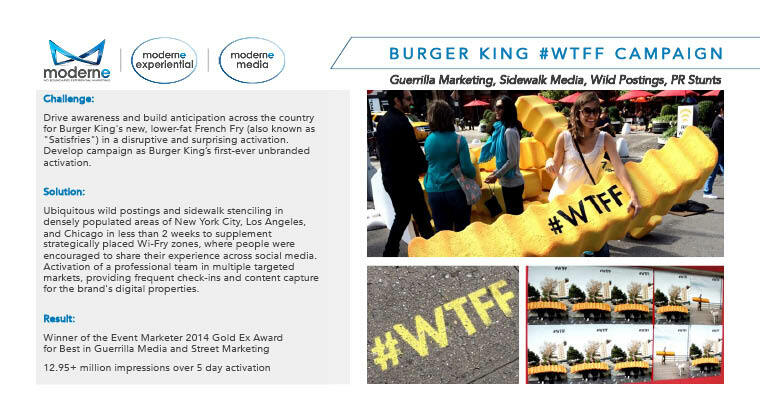 To drive awareness and build anticipation for Burger King's new french fries, Moderne in partnership with Mother NY Agency, used guerrilla media in a disruptive, surprising and first-ever unbranded activation. See how Moderne transformed a blank space into a Pop-Up Retail Store. 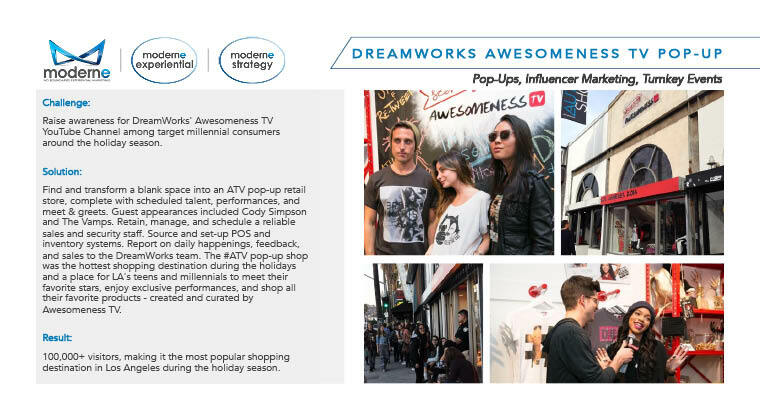 For more details on this program, visit the DreamWorks case study. 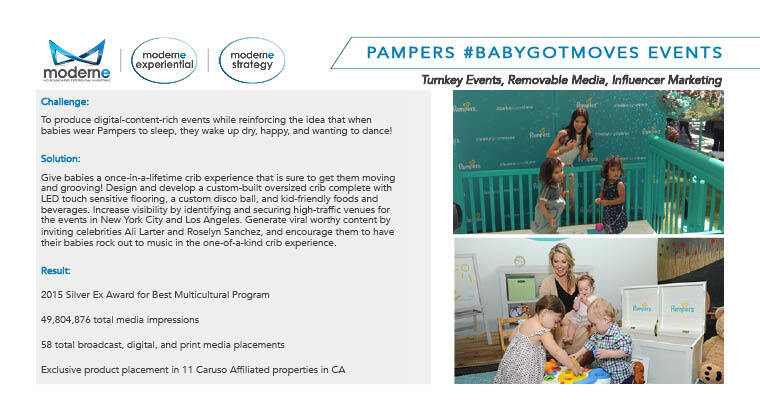 Moderne in partnership with Citizen Relations, helped Pampers host kid-friendly events in high-traffic venues in NYC and LA. Check out how Moderne in partnership with Lactalis American Group, broke a Guiness World Record!